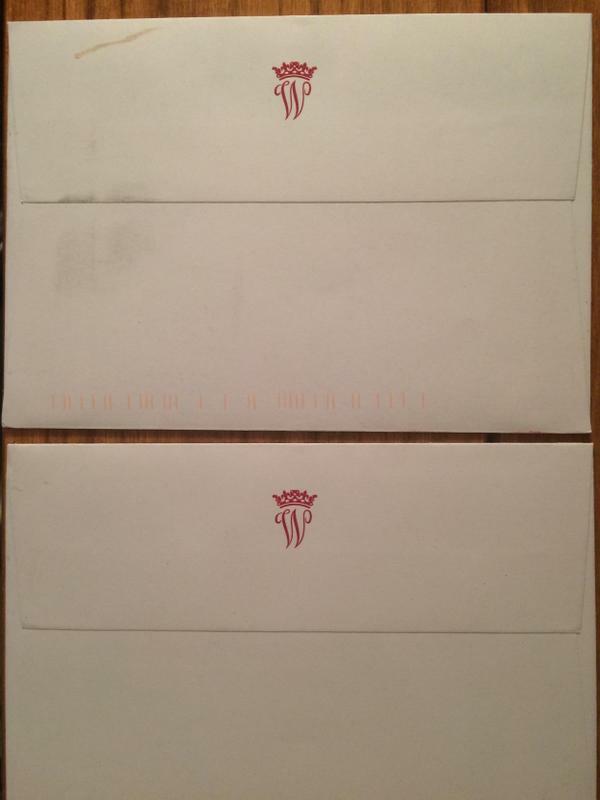 Today was a double dose of royal mail and this response card was one that I was pacing the floor to get ever since it first surfaced on twitter. This was a card that I got sent off a touch late on 2nd May but the response arrived today, 31st May. 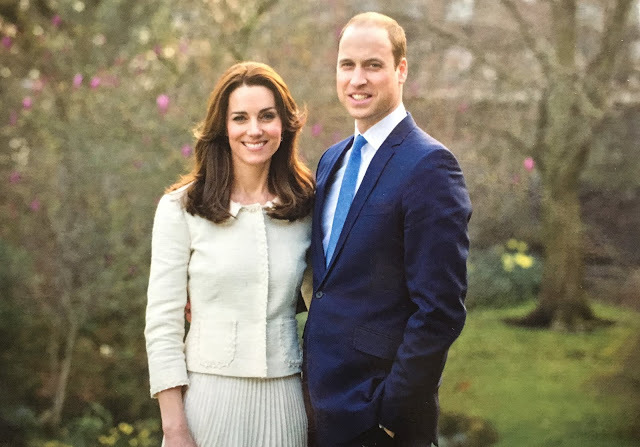 On the front of the card is a new portrait taken by Chris Jelf, the photographer who took the Christmas Portrait of the Cambridge family in 2015. 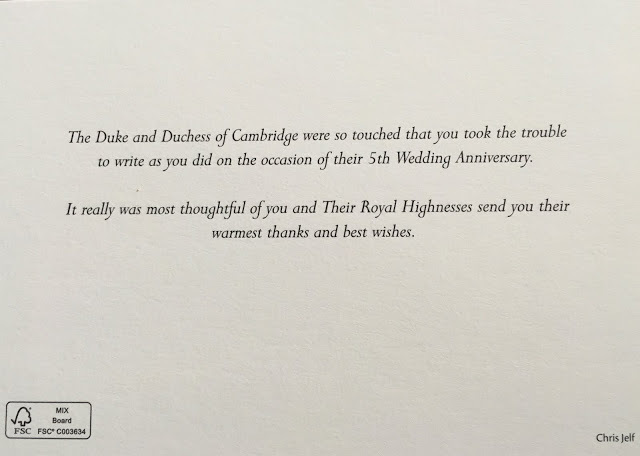 On the back of the card is what could be considered a standard message of thanks from the couple for the well wishes that they have received.